Tenants and owners - Come along, listen, have your say - tell us what you are thinking. And then we are into some of the many issues that motivate us all, and make the city centre such an interesting place in which to live! City Centre 30kph - Have your say Quick! Quick - Residents have your say on proposed 30KPH city centre zone - which should be a yes yes yes from a city centre resident perspective - as it will be fantastic for safety and life for residents in the CC! Just imagine the detuned streets, slower vehicles - much more friendlier, quieter streets… View moreQuick - Residents have your say on proposed 30KPH city centre zone - which should be a yes yes yes from a city centre resident perspective - as it will be fantastic for safety and life for residents in the CC! Just imagine the detuned streets, slower vehicles - much more friendlier, quieter streets for our families, friends and community. World-leading cities are also safe cities. We all have a responsibility to deal with the serious problem of our citizens needlessly being killed and seriously injured on our roads. 2) 4-minute option: Complete the online survey which, on average, only takes around 4 minutes. You have until Sunday 31st March to ensure your voice is heard. Don’t delay. Respond now. Our monthly meeting is Monday 4 February, 6pm at our city centre residents' community Ellen Melville Centre. Come along, listen, have your say - let us know what you are thinking. And then we are into some of the many issues and enthusiams that motivate us all, and make the city centre such an interesting place in which to live! If you haven't come to one of our meetings, nows a good time to start for 2019 - all residents welcome. CCRG's latest City Centre update - Jan 2019 #47 is out. We would like to hear your views about the proliferation of LED billboards - we have just made a submission on one proposed for Victoria Street, and will be attending the resource consent hearing. The City Centre is more … View moreCCRG's latest City Centre update - Jan 2019 #47 is out. The City Centre is more densely populated than Amsterdam Centrum (think the famous canal rings roughly). That's right, we have 12,600 per square kilometre versus Amsterdam's 11,000. Make sure your city centre voice is heard! We are Auckland city centre residents - tenants or owners, it makes no difference to us.
. Our members … View moreMake sure your city centre voice is heard!
. Our members are what drives us & gives city centre residents their voice. 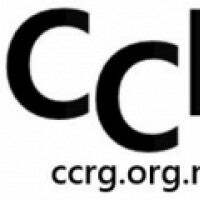 CCRG have been exceptionally busy this year, & there is much more to come - the city centre is the place to be. You can help us make a difference but we need to make sure your voice is heard. In addition to our existing Full Individual Membership, we have two new membership categories (welcome K Rd, & groups/businesses! ).